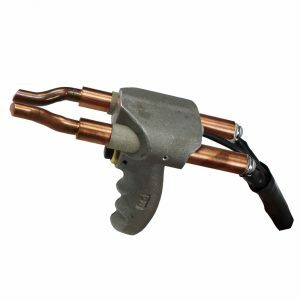 Many welding applications require the flexibility and versatility of a hand held welding attachment. Hand held attachments allow welding of complex geometries that would require expensive fixturing when using conventional welding heads. Hand held attachments provide a way for laboratories and businesses to lower their overall weld system costs. In general welding hand pieces are simple to use, require low maintenance, and provide a great deal of flexibility for small production runs or research environments. 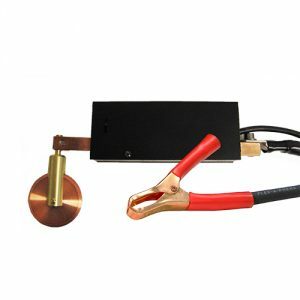 Some welding applications require the flexibility and versatility of a hand held welding attachment. Hand held attachments allow welding of complex geometries that would require expensive fixturing when using conventional weld heads. Hand held attachments provide a way for laboratories and businesses to lower their overall weld system costs. 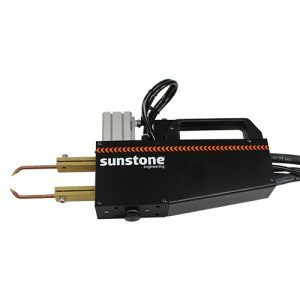 In general, welding attachments are easy to use, require low maintenance, and provide a great deal of flexibility for small production runs or research environments. PW hand held weld attachments provide users with the ideal welding solution for their specific application and needs. 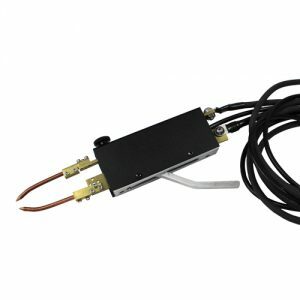 This page features all of our single probe hand pieces. The PG1 is the smallest single side gun. 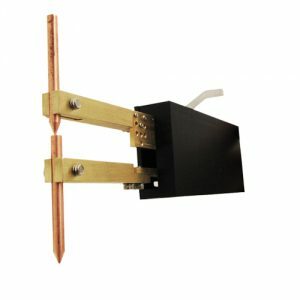 It can be fitted with a straight or 90° tip and has a built in switch. 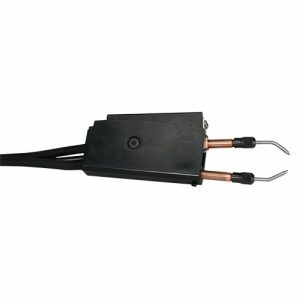 Includes PG EL125 – Adapter & one copper electrode. The PG1/2 is the smallest single side gun. It can be fitted with a straight or 90degree tip. Triggered with a foot pedal. 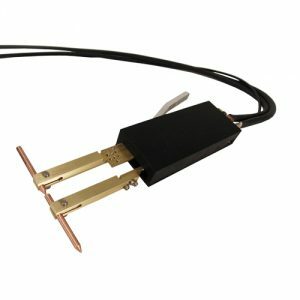 Includes PG EL125 – Adapter & one copper electrode. 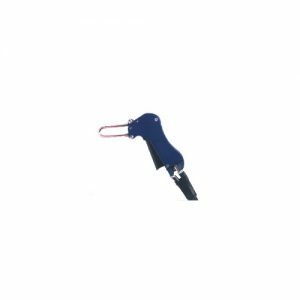 Pistol Grip Hand Piece with Button Trigger. 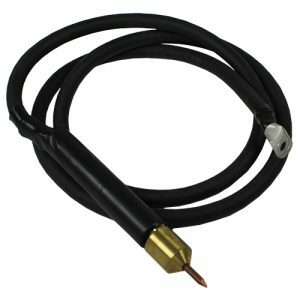 Includes PG EL125 adapter to accept 1/8th inch electrode. Single Probe Hand Piece – Low Power. 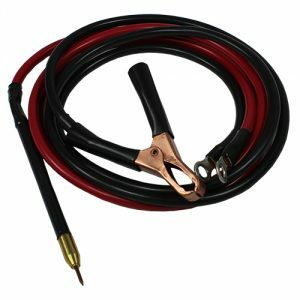 1/4″ dia brass shank accepts 1/16″ electrodes. 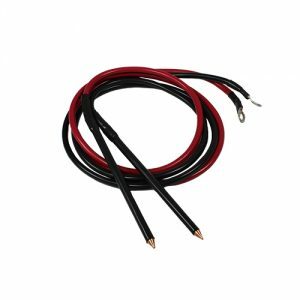 8 AWG cables 3.5 foot length. 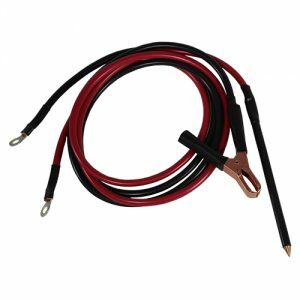 Alligator clip grounding cable and a 2mm Copper electrode included. 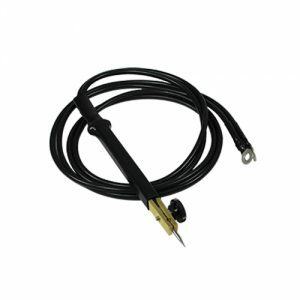 Single Probe Hand Piece – Medium Power, 5/8″ dia brass shank with 4 AWG cabling, accepts 1/8″ electrodes. 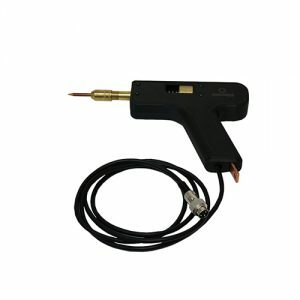 Single Probe Hand Piece – High Power. 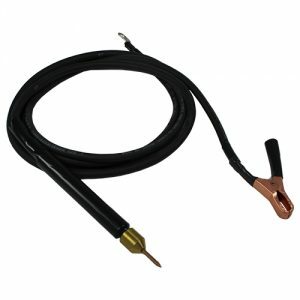 7/8″ dia brass shank accepts 3/16″ electrodes. 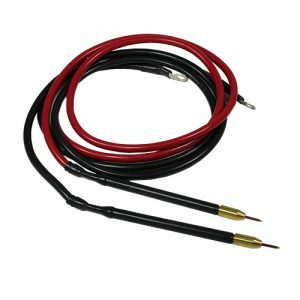 1 AWG cables 3.5 foot length. 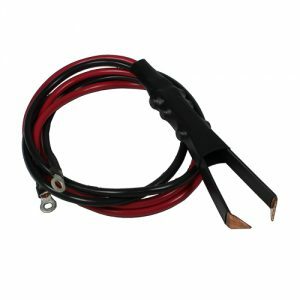 Alligator clip grounding cable and 1 pair copper electrodes included. Pressure actuated Single Probe Hand Piece Attachment with Large Alligator Clip for simple setup. Pressure actuated Single Probe Hand Piece Attachment with Large Magnetic Clip for simple setup (iron base material). Pressure actuated Single Probe Hand Piece Attachment with ring terminal. 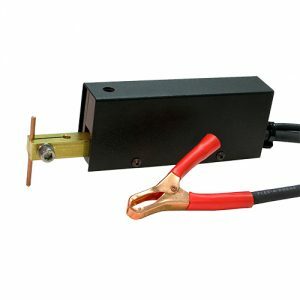 Pressure activated Single Probe Hand Piece Attachment (with Large Alligator Clip) for Roll Spot welding. 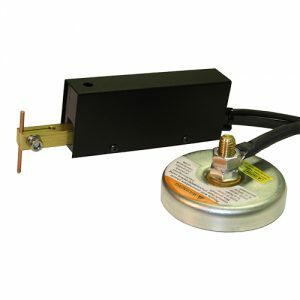 Accepts 1/4″ dia electrodes, such as EL-ROLL (included). Pressure actuated single probe hand piece. PW hand held weld attachments provide users with the ideal welding solution for their specific application and needs. This page features all of our dual probe hand pieces. 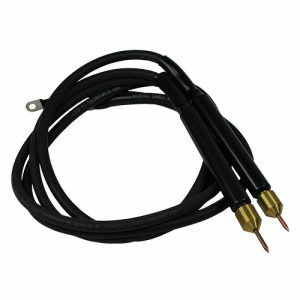 Dual Probe Hand Piece – Low Power, 1/4″ dia brass shank with 8 AWG cabling, accepts 2mm electrodes. 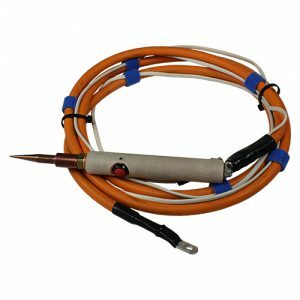 Dual Probe Hand Piece – Medium Power 5/8″ dia brass shank with 4 AWG cabling, accepts 1/8″ electrodes (1 pair copper electrodes included). 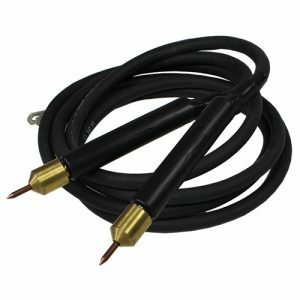 Dual Probe Hand Piece – High Power 7/8″ dia brass shank with 1 AWG cabling, accepts 3/16″ electrodes. 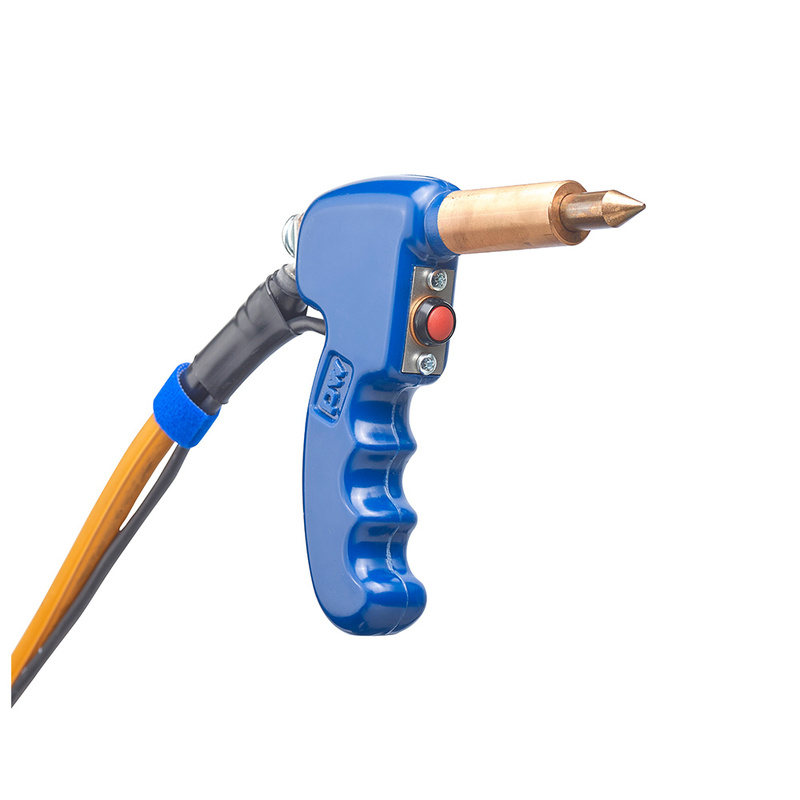 Micro Welding Hand Piece for Use with DC Welders. Many welding applications require the flexibility and versatility of a hand held welding tool. Hand held attachments, like the pliers or tweezer guns, allow welding of complex geometries that would require expensive fixturing when using conventional welding heads. 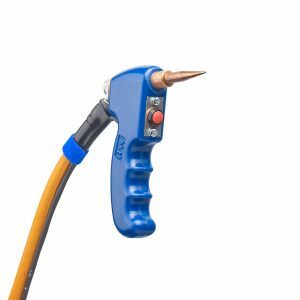 In general, hand held welding pliers or tweezers are simple to use, require low maintenance, and provide a great deal of flexibility for small production runs or research environments..
Tweezer Hand Piece – A.
Pressure-Actuated Tweezer Hand Piece: Low Power. 1/8″ dia. Electrodes. Pressure-Actuated Tweezer Hand Piece: Moderate Power. 3/16″ dia. Electrodes. Pressure-Activated Tweezer Hand Piece: High Power. 3/16″ dia. Electrodes. 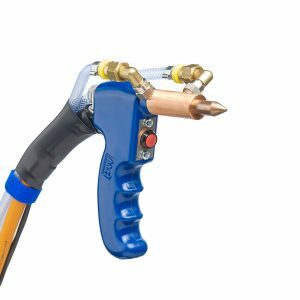 The THP-A Pneumatic Tweezer Hand Piece is designed for situations when high weld forces are required and an opposed weld head is not feasible due to part geometry or weld locations. 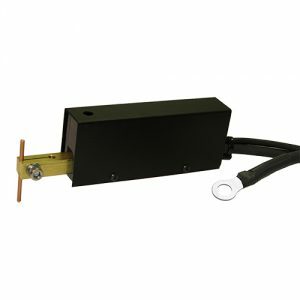 The pneumatic actuation allows for repeatable high forces leading to consistent quality of welds. Forces from 5lbs to 50lbs adjustable by changing the air pressure.